Want to save thousands of dollars per year on equipment cleaning costs and benefit from the great reputation that comes with being a clean facility? The importance of a clean facility and equipment is undeniable. 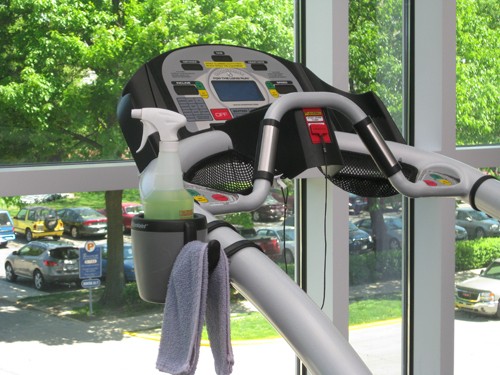 Cleanliness is crucial for sales, marketing, member attraction and retention – as well as a great insurance policy against the spread of germs and viruses that can live on the surfaces of exercise equipment. Remember.. members go to the gm to get healthy, not sick! In order to maintain a healthy workout environment in your facility, cleaning needs to be prioritized. Frequently touched, body-contacted surfaces need to be sanitized after each use. Without doing so, you run the risk of user-to-user bacteria or virus transmission. 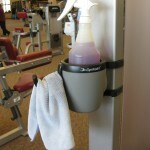 Now this frequent and consistent cleaning can sound like quite a burden for gym owners and staff. Well fortunately I, Dr. Bruce Sherman, have designed a cost effective, convenient, and environmentally friendly solution. Cost – Research has shown that in equal-use situations disinfectant spray bottles and towels can save you up to 90-95% versus disposable wipes. For many facilities that means saving $5,000-$15,000 per year! 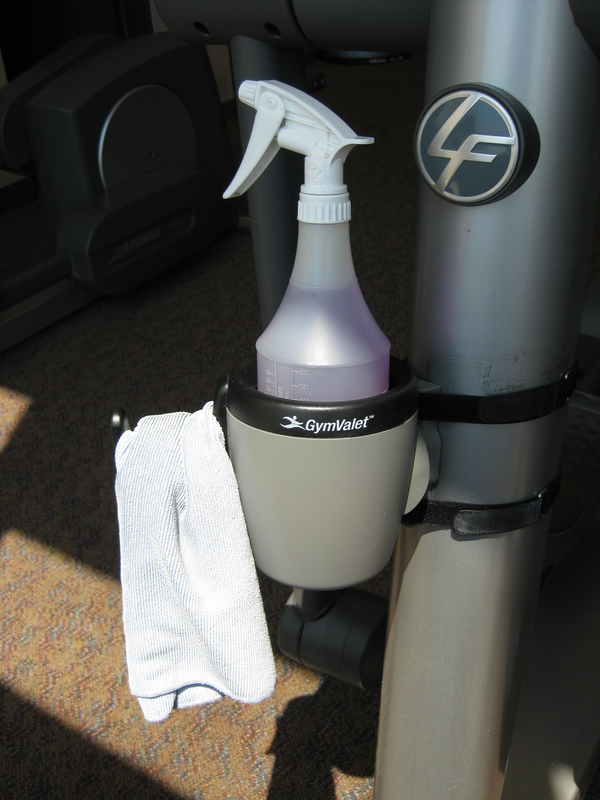 Effectiveness & Convenience – The GymValet holder puts the spray bottle and towel right on the equipment – within one step or arm’s length of the exerciser. This facilitates immediate cleaning before and/or after each use. 3). Environmental Responsibility: Single-use disposable wipes create a lot of waste. One roll of disposable wipes generates several garbage cans full of wipes waste. Also, wipes are generally made from synthetic fibers that are practically impossible to biodegrade – not very eco-friendly! Yes, towels must be washed on a regular basis, but research shows that gym-quality towels (that cost about $1 each) can be washed several hundreds of times before being “retired”. A bit battered and worn, but on full display with Colby, Roberto, and Trainer Jen. As you my know I am a big fan of The Biggest Loser! 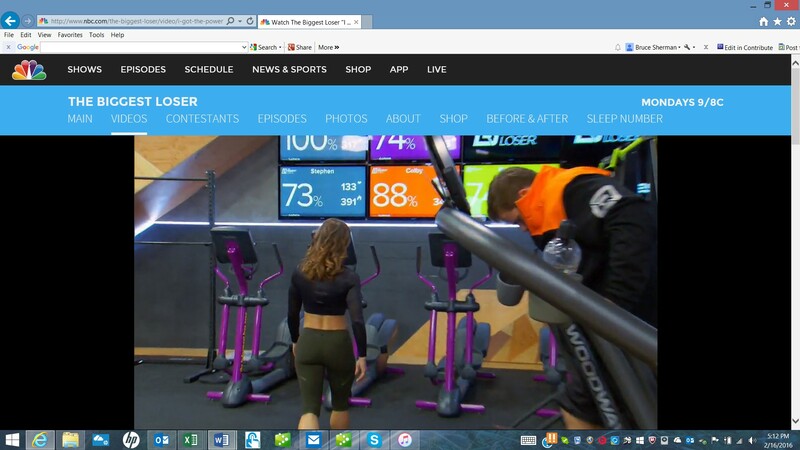 I watch it for the fitness “reality?” AND to catch glimpses of the GymValets that are attached to several of the Woodway Curve treadmills in The Biggest Loser Gym. The four images you see on this post are from this past week’s semi-final episode (air date 2-16-16). It’s fun to capture close-up images if the GymValets, the contestants and the trainers! A few comments: 1) Colby’s running form is not the greatest–it’s my assumption that he’s “running” on empty in this semi-final episode, hanging on for dear life to burn a few extra calories, 2) Although the GymValet hook rings are missing, it’s nice to see Roberto using the GymValet to hold his personal water bottle–GymValet at your service, Roberto, 3) Nice to capture a few images with trainer Jen Widerstrom–no doubt that she practices what she preaches, and 4) Back to the GymValets: While I’m not proud/pleased that the hook rings are missing, those GymValets have been attached to the Woodway Curve treadmills for over five years, and they are in, basically, the exact locations where they were originally installed (on the front of the right hand rail). Good endorsement of the durability and longevity of the GymValet, in a heavy-use, high intensity reality TV setting! 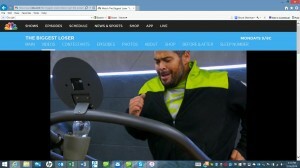 Check out my previous posts with screen shots from The Biggest Loser. There you’ll see the various trainers and contestants that have had close encounters with the GymValet, thanks to the Woodway Curve treadmills. I recently had thee opportunity to present the GymValet story to the Craig Zamary’s Speaker Series class, in the Kent State University College of Business Administration. As a proud graduate of KSU (M.A. 1983, and Ph.D. 1987) it was my honor to pay my entrepreneurial experience forward–especially since the KSU Rec. Center is a GymValet customer. The title of my presentation was, “My Entrepreneurial Journey.” Speaker Series is a class offered to Entrepreneurial Studies majors so they can hear real-life entrepreneurial stories form members of the Northern Ohio business community–what could be more real life than hearing the story of a product they see and use every time thy visit the Rec. Center. However, Speaker Series lectures are not just limited to students enrolled in the class. 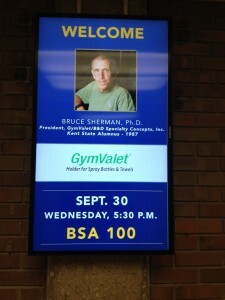 Series talks are open to the entire KSU community as evidenced by the promotional screen that advertised my presentation campus wide on the day of my talk. See what group exercise demonstrations caught my eye–functional to quirky, and everything in-between. 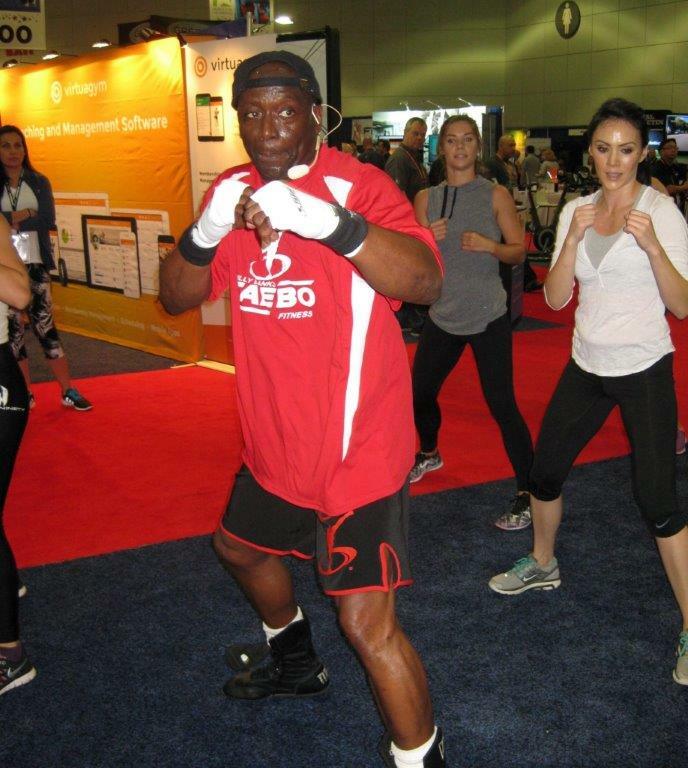 As you walk the IHRSA trade show floor you can’t help being drawn towards and attracted to the myriad of group exercise demonstrations that go on/cycle throughout the trade show day. Sometimes the attraction is auditory through the use of upbeat, pounding, toe tapping music (see Zumba), and sometimes it is “visual,” via unique movements or the use of interesting training apparatus (see Antigravity). And, sometimes it’s both (see Piloxing)! 2) Zumba: I’ve always been a fan of the energy, electricity and excitement that Zumba generates. And, I’ve been impressed by the legions of people who pack into Zumba classes and Zumbathons and the smooth moves of Zumba instructors! However, I’ve never been a fan of the technical deficiencies of Zumba instruction/instructors–there is a significant lack of effective movement change cues. As you can see in the video, Zumba movements can be quite complex. Without proper, and properly timed, cuing participants spin their wheels in neutral until they figure out the next movement sequence. Movement/exercise time is lost, and it can get quite frustrating to always be a few “moves” behind the instructor. Memo to Zumba instructors–you are there to teach, not perform. Improve your cuing–both verbal and nonverbal. 3) Fluidity Fitness: I’ve been watching Michelle Austin’s Fluidity infomercials for years, and I’ve seen Fluidity’s spots on the Home Shopping Network. Up until now, the Fluidity barre workout/apparatus has been geared toward the at-home exerciser. It was nice to see, at the IHRSA Show, Fluidity’s entry into the commercial sector. Their dual Fluidity-bar apparatus is very sturdy–yetmquite collapsible for easy out-of-the-way storage in multi-use group exercise rooms. Group barre classes have become quite popular–my wife takes one every Saturday. Welcome to “this” side of the industry, Michelle. 4) Antigravity–Suspension Fitness and Aerial Yoga: Quite beautiful and entertaining to watch. Looks like a Cirque du Soleil training class. My one question regarding Antigravity training is…how and how often are the sheets cleaned? 5) Pole Dance Fitness: The woman doing the demonstration makes the activity look so easy! I think a pole class would be great total-body training for many things! 6) Pavigym: The Energy+ functional training station flooring was designed to maximize member touch in minimal space. And, the flooring can go “vertical” with the interactive wall. This product was designed with the idea of tapping into the popularity of High Intensity Inteval Training (HIIT)–the #1 fitness trend of 2014–and turning it into an organized group exercise activity. I like the concept, but I’m wondering how many facilities will capitalize on this trend with their own homemade version of functional training station flooring with tape marks and paint (on their existing floor). Homemade may not be as sleek, but it could be quite effective and a lot cheaper! Please feel free to comment on my comments, and/or add your own. And, if you were at the IHRSA Show, what caught YOUR eye? See the equipment and equipment trends that caught my attention, and had me scratching my head in some cases. 1) Escape Fitness’ (a UK based company) 80Kg (176 lbs.) TIYR: Heavy and round like a real truck tire, but (is advertised as being) cleaner than a real tire and has the addition of nylon handles for better flipping. The outer covering probably prohibits the sledge hammer whacking exercise that many people do. Good looking functional piece of equipment! 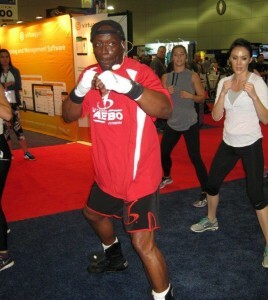 2) Startrac’s Box Master: Can’t beat boxing moves for a great upper body workout. Add some “float like a butterflies” and “Ali shuffles,” and you have a great lower body workout, too. Add roller skates, and you earn Dr. Bruce’s “you’ve got to be kidding” award. 3) Hoist’s Movement Cage: I think my commentary on the video is self explanatory. This is a good looking, multi-functional piece of equipment! For many facilities the question of to buy or not to buy will probably come down to space. Functional training cages take up a lot of space. 4) Speaking of taking up space…Movestrong’s cage is huge. Multi-functional, but very large. Is it worth it (to a club) to devote so much space to one piece of equipment–realizing that “one piece” may represent/offer 10+ exercises? 5) Escape Fitness’ Octagon: Taking advantage of the cage craze and the MMA/boxing trend, this piece offers several exercises/movements that are somewhat different that those that can be performed on/in the Hoist and Movestrong cages. 6) Stairmaster’s Treadclimber: I know this is almost a treadmill, and almost a stair climber, but that’s the curiosity. That’s a pretty bold claim that they have on the back of the Treadclimber. Anybody…direct me to the objective science/research that backs up their claims!! 7) Saving the most curious head-scratcher for last…Vacu Activ’s Roll Shaper: Reshape your body with the no frills (futuristic looking) basic model–it just rolls you into a more contoured and shapely physique, or get the souped-up mode that offers infrared heating and chromotherapy (colored light) therapy to make the rolling therapy more effective. Once again…an open-ended offer to show me the objective science research. 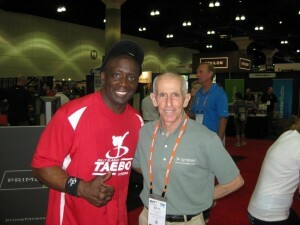 I hope you enjoy this look at the IHRSA Show. Remember, this is what caught my eye and elicited the opinions that you hear on the video, and read in my writings above. If you were at the show, I’d love to hear your observations and opinions on your eye catchers. …at the 2013 Athletic Business Conference! You never know who you’ll run into on the floor of a trade show, and the recently concluded Athletic Business Conference, in San Diego, provided me with the thrill of meeting two contestants from one of my favorite reality shows–The Biggest Loser. If you know me, you know I “pound, the table” on the importance of the Biggest Loser for health and fitness professionals. Over the past several years, “Biggest Loser” style contests have popped up in health and fitness clubs, and corporate wellness programs–just to name a few. In my opinion, industry professionals must be prepared to dialog with members and clients about, and respond to, what TV viewers (by the millions)–especially those who get “starry eyed” watching the contestants shed the significant number of pounds that they desire to lose–see unfold before their eyes on Tuesday evenings. 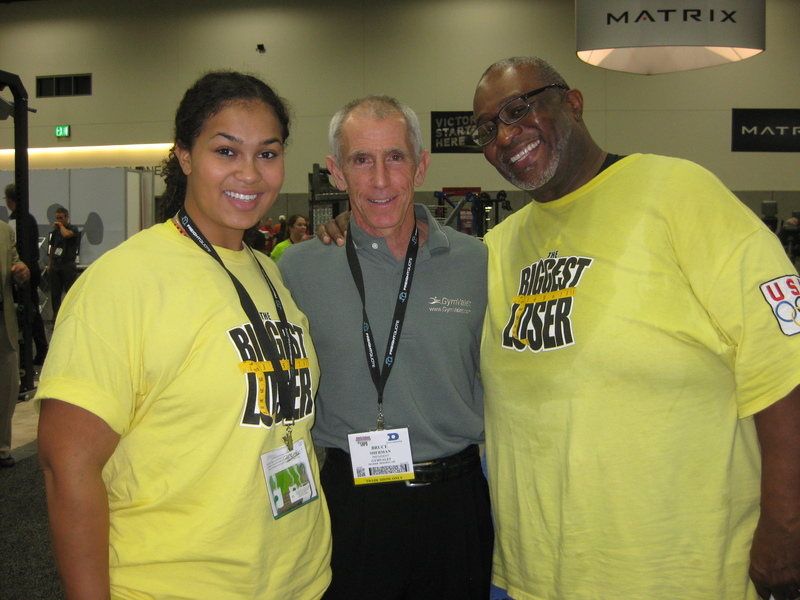 So, when I approached the NuStep booth on the first afternoon of the show, I immediately recognized O’Neal and SunShine Hampton from season 13–and it didn’t hurt that they were wearing bright yellow Biggest Loser T-shirts! After a brief introduction and confirmation that I recognized them from my “favorite” show, we posed for a picture. That’s me in the middle! At that moment I realized that O’Neal and Sunshine had been doing some serious NuStepping–my hands were sweaty-wet from touching their backs! Now, it was time to get back to work/health on the NuStep. 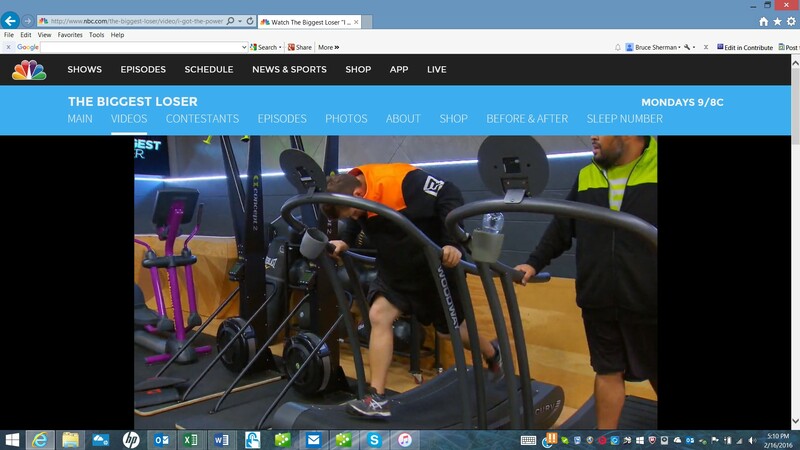 If you watch the video above, you’ll see O’Neal and SunShine working away on their recumbent ellipticals. I couldn’t help but ask for motivational thoughts from the pair. In all honesty, as you’ll note, O’Neal and SunShine are not skinny-thin. But, if you watched their season of the Biggest Loser, they reported to the BL campus much larger and in very poor physical health/condition. To see them as glowing, vibrant and physically active, as they now are, confirms that the Biggest Loser was both a life changing and life saving experience for them!! As I watched the NuStep workout, it was fun to see the enhanced workout that was developed around NuStepping. NuStep does not have to be a stand alone piece of exercise equipment. It can be used as the cardio.component of a total body, interval-style (combination), workout. A review of the American College of Sports Medicine’s top-20 fitness trends for 2014, “combination workouts” can be inferred to occupy five of the top eight spots (with High Intensity Interval Training (HIIT) being #1 on the list). Therefore, combining NuStep and appropriate off-NuStep exercises–can be considered both trendy and effective for exercisers of all fitness and/or ability levels. To go a little deeper into my previous thought, the beauty of the NuStep is, as I noted above, that it can be an effective exercise modality for all exercisers; with the right guidance EVERYONE can get a good workout on a NuStep. The art and science of the combined workout is the thoughtful planning of the exercises to do between NuStep intervals–with the ultimate goal being to provide total fitness/strength balance for the exerciser. So, kudos to NuStep for demonstrating interval NuStepping the the Athletic Business crowd. And, thanks to NuStep for aligning with O’Neal and SunShine. It was a win-win for everyone, including me–the Biggest Loser junkie! Magic Johnson at ABC 2013. Magic Being Magic in Pix & Video (below). I was excited to see Friday’s keynote speaker at the 2013 Athletic Business conference, in San Diego. The speaker was none other than Magic Johnson: Hall of Fame basketball player; successful businessman; HIV survivor (thus far). When he walked on the stage to a rousing standing ovation, you couldn’t help to feel like you knew him personally–after all, he’s been in our “living room” countless times over the past 30+ years. In reality, we only know a small fraction about Magic–where he came from, and who he is. On Friday, he filled in a lot of blanks, as he told “The Story of Magic,” a thoroughly entertaining and fascinating tale he “wove” with his words and (literally his) actions. Part of the charm of Magic is how he works the crowd, strolling to every part of the room engaging unsuspecting audience members as he goes, and mugging for pictures and videos at every turn! I was lucky enough to have an up close and personal moment with Magic as he walked through my section. Poised and ready with my camera as he drew near–hoping that I could click one off as he went by. Wasn’t I surprised and thrilled when he saw me in the ready position and stopped right in from of me and “hit a pose.” One second, one shot, and I scored!! All I could say when he moved on was, “Thank you, Magic!” A quick peak at the image revealed that I didn’t choke–I hit the photo equivalent of a buzzer beater! The proof is in the posting–see above! I quickly showed the image to the people sitting in my area. Within seconds I had business cards being thrust my way so I could send my section-mates copies of the picture. Not only did I capture a Magic still image, I was also able to record some of Magic’s words on video. 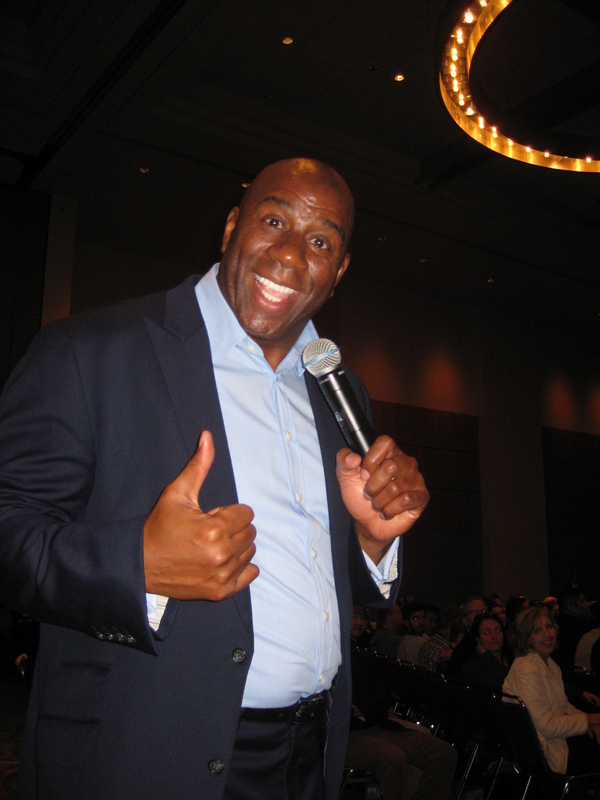 In the following video, that I posted on YouTube, you’ll hear Magic’s thoughts on: Motivation, work ethic, and the biggest challenge of his life–HIV . The video concludes with a few seconds of Magic being Magic with his adoring fans, immediately after his talk. Kudos to Athletic Business for their choice of keynote speakers. Already looking forward to ABC 2014, in Orlando. Good Greens Bars Revisited – Remarkable!! 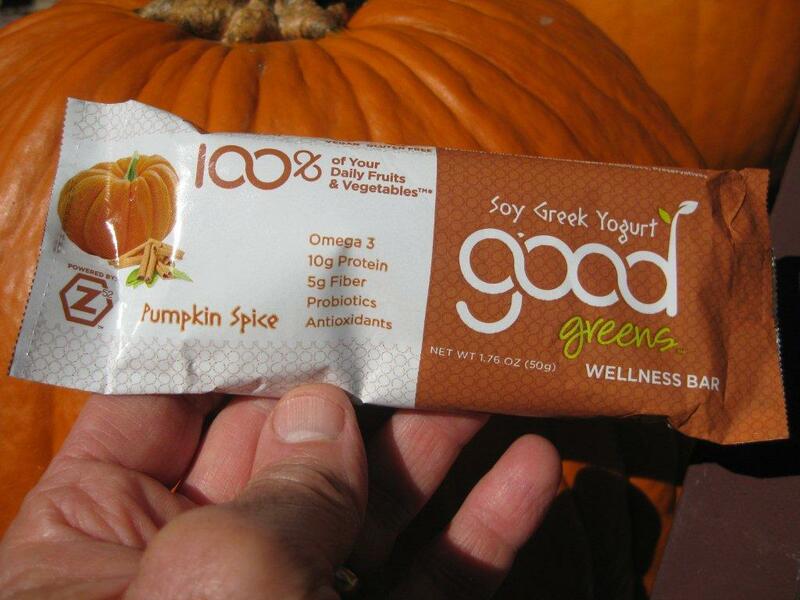 New Pumpkin Spice Bar Added to Stellar Line-Up. Last year at about this time I introduced you to a new line of nutrition bars–Good Greens Bars. With another year under their belt, Good Greens continues to amaze and impress with their delicious, high-quality and VERY reasonably priced bar-line. 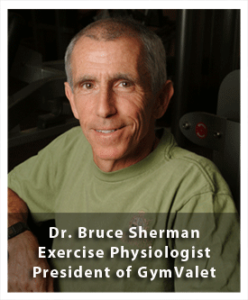 Ode to the GymValet – Long Live the King of the Holders! I always appreciate the opportunity to check-in on facilities that have and use the GymValet–that’s good customer service!! When I’m on site, I go around to each GymValet, give them a little “tug” and, if necessary, fine tune the attachment to return the GymValet to its original upright and rock-solid placement. NOTE: As part of a good GymValet preventive maintenance program, facility owners/managers should regularly go around and check each GymValet for proper attachment–GymValet to the machine and hook ring to the GymValet. Every once in a while I get to check up on some of the oldest GymValets in existence. Recently I had that opportunity when I visited the Akron General Medical Center (AGMC) (Stow, OH) and SUMA Health (Hudson, OH) fitness facilities. The Akron General and SUMA centers are “medically based health and wellness facilities.” Akron General is “led” by Doug Ribley–VP of Health and Wellness Services–who is also a regular presenter at the Medical Fitness Association (MFA) annual meetings. GymValet’s association with the Akron General Medical Center and the MFA began, basically, on “Day 1” of the GymValet business, in January, 2006. Here you go…a few pictures and a video of some of the first GymValets ever sold. Note the tone of “nostalgic excitement” in my voice (in the video)! 1) GymValets are built to last–a great investment. Treat them right, and they will keep on giving–clean equipment, and satisfied and safe members–for years. 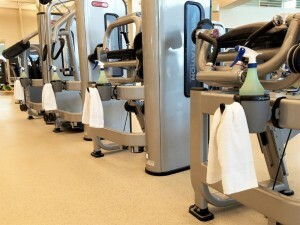 2) If the GymValet and the GymValet Equipment Cleaning System is the equipment cleaning system of choice for nationally recognized medical fitness based (MFA) fitness facilities, anyone/everyone should give serious consideration to adding/incorporating the GymValet system into their facility. So, thanks for sharing my trip down memory lane. Thanks for your continued support of the GymValet. Here at GymValet, I am very proud of the unique niche the GymValet is filling for health and fitness facilities of all types and sizes across the US, Canada and around the world. 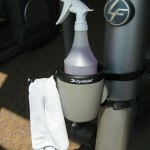 The GymValet is the perfect holder for the cleaning supplies used to clean/sanitize cardio. and strength equipment before and/or after use. It can also serve as a holder for exercisers’ personal effects–water bottles, towels, iPhones, iPods, keys, etc. 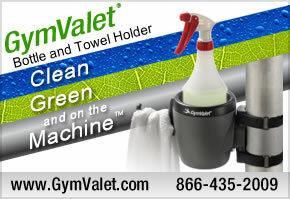 The GymValet attaches directly to equipment with no tools required, i.e. no drill holes in the beautiful frames of your expensive equipment! One of the primary benefits of the GymValet’s Velcro-strap attachment system is that YOU can customize exactly where you want to place the GymValet based on accessibility, safety and convenience. The image below shows the GymValet on a Woodway treadmill in the Student Recreation Center at the University of Illinois–one of 400 GymValets they have in their facility! 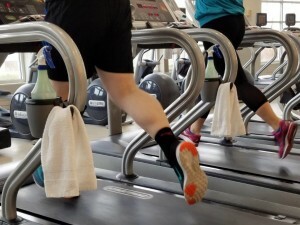 I fully recognize that many OEMs (Original Equipment Manufacturers) now include water bottle holders–but not towel holders–on their cardio. equipment; generally, well placed near the electronics panel . 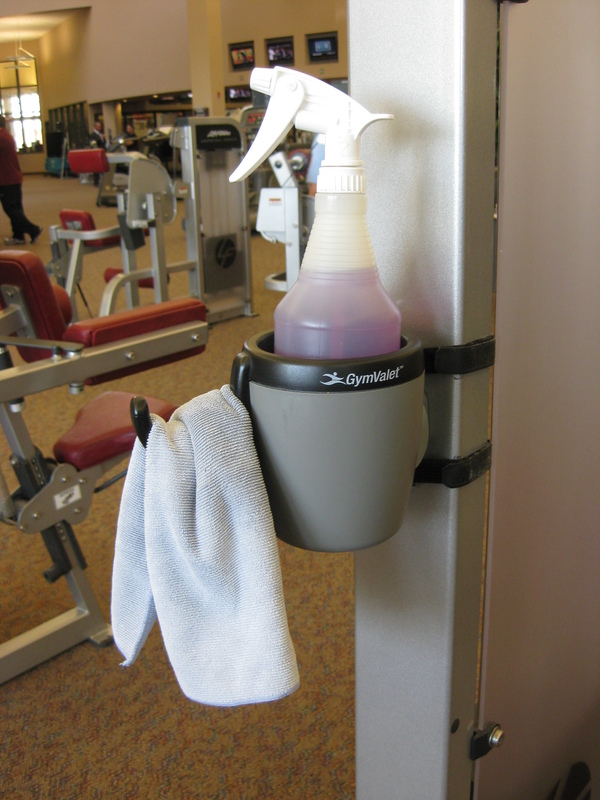 The primary spirit of the GymValet has always been to provide a holder that gives easy, within arm’s reach access, to the equipment cleaning/sanitizing supplies. To be 100% honest, a sanitizing spray bottle should be nowhere near where an exerciser stores their personal water bottle. BUT, the sanitizer should/can be safely placed within 6-12 inches of that location!! That’s the beauty of the GymValet–place it where it is most accessible and has the best chance to be noticed and used. The ultimate test of athlete and machine! I’ve enjoyed checking-in on FreeMotion’s endurance, treadmill-based, relay “challenges” at the past few IHRSA Shows. In 2010 the competitors climbed/ran the vertical equivalent of Mt. Everest–29,000+ feet. Last year the challenge was a rugged 100 kilometer (62.1 miles) segment of a popular mountain stage of the Tour De France. 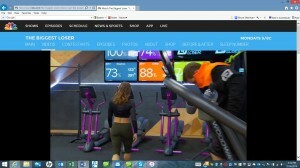 As I walked the floor at last week’s 2012 IHRSA Show, I was interested to see what FreeMotion had cooked-up for this year. FreeMotion did not disappoint! Apparently, running up mountains was perceived as too easy, or boring. Why not engage the whole body–utilizing a broad-spectrum of FreeMotion fitness equipment in the name of a tortuously (for the competitors) enjoyable (for the spectators) event called the FreeMotion Fit Games Challenge. Ball Bike Makes IHRSA Show Debut. Recumbent-style cycling with a twist! Ball Bike has upped the ante on recumbent cycling. Lay-back “sit-cycling” must now take a back seat to the new kid on the block–the Ball Bike. Oops…Ball Bike doesn’t even have a seat; you sit on a stability ball! Then again, how much stability is there on a semi-bouncy ball? That’s the point!! Ball Bike forces you to engage and work out your core while pedal away. But, the workout doesn’t stop there. Ball Bike is equipped with variable resistance bands that can give you a great upper body workout, while you pedal your way to a great cardio. workout, while you hang on for dear life with your engaged core on the (intentionally not so stable) stability ball. Check out the Ball Bike video on this post. Let me know what you think about the Ball Bike concept. And, how convenient, the GymValet attaches directly to the Ball Bike. Not only will you get a great work out, but you will be doing it on a clean and safe piece of equipment. Good Greens Bars: Delicious and Nutritious! 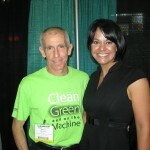 Good Greens bars — a “hit” with fitness industry professionals at the 2011 Athletic Business Conference and Expo! I’m sold on Good Greens bars as being the most tasty and nutritious energy bar on the market. So, I thought I’d put the bars to the test at last week’s Athletic Business Show, in Orlando, FL. It didn’t take long…0ne bite, and the word, “Delicious” (or a synonym of the word delicious) seemed to come out of everyone’s mouth! At a fitness industry trade show, attendees are exposed to a myriad of nutrition products–especially nutrition bars. Fitness professionals are a very discriminating bunch; they have their self-interest (they consume a lot of bars) and their business-interest (they both recommend bars to their members/clients, and frequently sell bars in their facility’s nutrition area) at stake. For the Good Greens bar to pass their rigorous testing says something very positive about the product. Don’t take my word for it. Check out this testimonial–it speaks volumes. Keep an eye out. I expect to be selling Good Greens bars, and other interesting products from the Good Greens product-line in the very near future through the GymValet web site. Then, you will only be a few clicks away from having the best tasting bar in the business for your professional and personal use! USATF USA Masters Outdoor Track and Field Championships! Just a quick note on the USA Masters Track and Field Meet that was held over the past four days–to my good fortune just on the other side of town! I signed up to volunteer/work at the meet as a “Blockhead”–one of the people who hold the starting blocks for the sprinters–so the blocks don’t slip out from under the sprinters as they blast into their race. I’m no dummy; I pick the easiest job that gives me the most up close and personal contact with the athletes and the meet. Watching from the stands isn’t close enough; I like to soak up the sights, sounds, and smells (from the starter’s pistol) of the meet at track level!! Dr. Bruce never passes up a chance to meet and chat with Biggest Loser contestants. Freemotion 100 Kilometer Challenge. Sixty two miles of fun? “A video is worth 100 Kilometers.” My first goal was to get the video up on my Blog. Comments to follow. Enjoy! Life and business before, during and after The Apprentice. Once again, I send kudos to the decision makers at Club Industry who decided to select Bill Rancic as a keynote speaker at this year’s Club Industry Show, in Chicago. And, if you were able to take in BOTH keynote speakers (Richard Simmons was the other one…enough said), you saw the BEST duo of keynote speakers I’ve seen at a fitness industry trade show in several years! Bill Rancic, the first winner of Donald Trump’s The Apprentice reality-show, gave a very interesting talk on the business of entrepreneurialism and the entrepreneurial spirit. He was very concise and forthright in sharing the life and business lessons he has learned along the way to becoming a very successful entrepreneur and highly respected “public” figure. By the way, if you ever wondered what Bill’s first big entrepreneurial breakthrough was… It was a “1-800” based business he called, “Cigars Around the World.”—basically, a cigar of the month club. He did all this before computers and the internet became our way of life, communication, and commerce. As he talked about this very successful venture, one question kept popping into my mind…keep reading to the end of this post and you’ll find out what the question was. 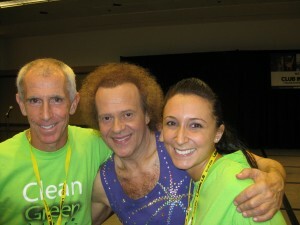 Kudos to the master-minds at Club Industry for inviting Richard Simmons to be a Keynote speaker at the 2010 Club Industry-Chicago Show! In case you missed it, check out the video-montage I put together—filmed from my seat in the third row. Richard did not disappoint! Once Pam Kufahl was finally able to get him on stage, Richard was unstoppable—literally. He selectively invited three groups of “new” friends to join him up on stage to shake their collective booties. Once the music started, Richard took the participants and the audience on magical ride back into the Aerobics Dance history; I haven’t seen some of those moves for over 20 years! But, who cares…he’s timeless and tremendous. Simply Fun! 2) FYI, the average weight loss for the 29 individuals who volunteered their results was 46.4 pounds—1345 pounds lost! The median weight loss was 40 pounds. 3) I would like to hear a few comments on WHY health and fitness professionals let themselves get to that state of overweight. We, as industry professionals, have to be role models for those who look up to us and depend on us. Eat healthy, work out regularly, and control the weight. As I always say, we teach it and preach it, so we must live it and breathe it! I welcome your comments on this issue. After the fun and games, Richard took a few minutes to tell us the heart-felt story of Richard Simmons. Richard’s long struggle with his weight is well-chronicled all over the internet. But, out of his mouth—delivered with amazing passionate and emotion—the story really comes alive. We felt his pain, sorrow, and, most importantly, joy—the joy of helping others LIVE the life he knows they can live! Those are just a few of my thoughts—from the third row. Enjoy my video. Check out the picture of my GymValet booth colleague, Jennifer Schupak, and me with Richard. And, once again, thanks Club Industry for letting the court jester (as he calls himself) of fitness entertain, inspire, and motivate us! Ms. Fitness USA contestants visit the GymValet Booth before the Awards Banquet. First of all, I found all of the contestants to be very friendly, and they LOVE to have their picture taken! As I spoke to them, after the obligatory picture taking/posing, I took the approach of talking to athletes–respecting the countless hours and years of training that led the contestants to the National finals. If you are not familiar with Ms. Fitness USA, competitors make the finals through a series of regional qualifying events. These are serious competitors! I find it interesting, however, that many of them are not fitness professionals; many have full time jobs, and families–one of the washboard-abs. set has 5 children! This is a competition where the contestants have to be trained, toned and fit from head to toe, as they are “exposed” and judged during the posing and fitness routine parts of the competition. Oh…don’t forget the personality component either; the contestants are also interviewed regarding how they inspire, and motivate OTHERS to pursue healthy lifechoices and lifestyles. The other part of the pre-banquet “social hour” that I found interesting was watching and listening to the competitors interact among themselves. This event reminded me of the pre-event “scene” that I’ve experienced over the 30+ years of my competitive athletic career as a runner and triathlete: There was the obligatory “sizing” up the competition, catching up on personal details and current events, and a little discussion about “where are you going next.” Enjoyable gamesmanship! Having exhibited in the same exact spot in 2009, I found myself getting wrapped up in the “Nice to see you again” game. There were several familiar faces from last year, and it was fun to chat with the contestants I met last year to learn about their relative state of preparedness and expectations for the 2010 show. I was also able to get the “insider’s” view on who were the women to beat. I’m not sure, however, if the Sports Book at the Grand Sierra was set up for paramutual wagering on the competition…?? The last thing I want to comment on are the “TANS.” I was pleased to see that the majority of the tans came from tan-in-a-bottle! I was told that “tanned” skin looks better on TV. What I found to be most interesting and astonishing was how quickly the tans disappeared after the competition. I spoke with one contestant the day after the show, and she described how good it felt, once she was done competing, to scrub-off the tan and send it down the drain. She was very happy with how she competed, so the post-show shower was her reward for a job well done! Part 2: Ali Talks Candidly About Life Before The Biggest Loser. There she was, Ali Vincent, The Biggest Loser’s (TBL) season five (Spring 2008) winner. This time she wasn’t on the flat screen, but live and in person just a few feet in front of me as a keynote speaker at the 2010 Club Industry East Show—I was dead-center in the front row! And, as an added bonus, Ali’s TBL teammate and mother, Bette-Sue, was also in the front row a just few seats down. As an Exercise Physiologist it was interesting to have the chance to look at and listen to a person, first hand, that did a total physical and emotional transformation in front of our eyes—she went from 234 pounds down to 122 pounds for the win! From a body composition standpoint she passed the test; still looking fit and firm—two years later. Now it was time to hear her message. Part 1: The Biggest Loser is a must-watch! The sad reality is that of the 250,000 people who apply for the show each season, only about 22 get chosen to go to The Biggest Loser Ranch and participate. Do the math, that’s less than one out of every 11,000 applicants hit The Biggest Loser lottery! There he was, Bucky Dent—the hero of the 1978 American League East tie-breaker game, 1978 World Series MVP, and three-time All-Star—standing in front of us! Not necessarily an imposing figure, but definitely a historic figure—at least as far as New York Yankees fans are concerned! While the spirit of his keynote address at the 2010 Club Industry East was to talk about his baseball camps—come on folks, Bucky wasn’t going to escape without engaging in some pure baseball talk! Dr. Sherman: What does it feel like to hit a Major League home run? 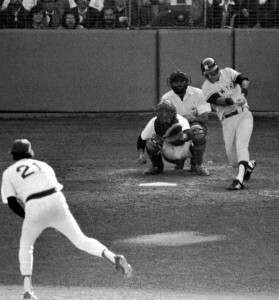 Bucky Dent: It’s magical! I always wanted to be like [my boyhood hero] Mickey Mantle. Home runs, the World Series, the Yankees—I achieved all three. When I hit the home run in the tie-breaker game, I didn’t know if it would be a home run when I hit it. I really didn’t see where the ball was going because I was running so hard. When I knew it was a home run, I got flashbacks to when I was a kid—thinking about hitting that game winning home run, like Mickey used to do. Attendee: Bucky, is it true that you were using Mickey Rivers’ bat when you hit your famous home run? Attendee: What do you remember about your teammate Thurman Munson [who died in a plane crash at age 32, in 1979]? Bucky Dent: Thurman was a “tiger.” He was a very hard-nosed ball player. I still remember where I was when I heard he died. Thanks, Bucky, for bring your resume´ to life. I truly enjoyed your great presentation. Bucky talks about Image and Instruction and Motivation. If you were at Bucky’s talk, you witnessed the passion with which he speaks about Image, Instruction, and Motivation. The audience really appreciated his heart-felt insights! BT: I have been doing this for 35 years. I have loved every minute of it. I have a passion for teaching baseball, and to have kids come and have fun and be part of a great environment. No matter how long you have been in the fitness business, I hope you still have the passion for the profession and for the people who count on you to guide them to a place of better health and wellness. BT: We act and look like ball players. In this statement, Bucky was referring to both his staff and his players/campers. Since it is much harder (almost impossible) to make fitness-exercisers look and act like “exercisers,” I want to center my comments here on fitness industry professionals: What kind of a fitness image do you portray? When someone walks in your door, is it obvious to them that you work there, and most importantly—that you work out!! Bucky told us that he’s out there actively teaching baseball. At minimum (based on your job), you should always be available to teach fitness or answer a fitness question. Equally as important—nothing speaks more loudly than the boss and/or staff working out among the members! What do baseball training facilities and fitness facilities have in common? To hear Bucky tell it, A LOT. 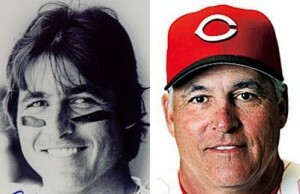 I was really excited to attend Bucky Dent’s keynote address at the 2010 Club Industry East Show earlier this month. Initially, I wanted to hear him share his experiences about running a baseball training facility. But what I learned was this: A baseball training facility and a fitness facility operate in the same parallel universe. The operational, educational, instructional and motivational challenges that facility owners/managers face are the same; just the names, “uniforms,” and venues are different. BT: We have teaching sessions where I show them (the staff) what to do. They go through MY class(es) so I am comfortable that they can teach what I want them to teach (in terms of skills and fundamentals). When Bucky was asked, “Is there a Bucky Dent” program that personal trainers at our club can use to train “baseball” athletes; specifically, pre-season conditioning? BT-We keep our program in-house. Sorry, folks. What happens at Bucky’s, stays at Bucky’s. But I bet he would share some ideas if you asked. The bottom line is, be a student of ANY program/regimen that you like, believe in and respect. Do a little cross-collaboration with colleagues and/or competitors that you respect. Yes, I did say competitors—let’s all play nicely (together) in the sandbox. After all, program development and improvement is for the benefit of the club members and personal training clients. Learn, share, and pay it forward! 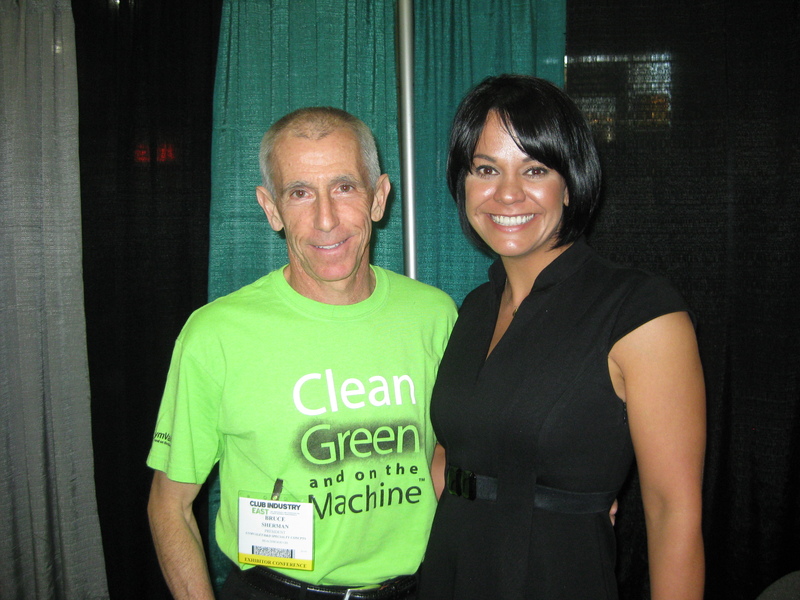 I have been “aware” of Johnny G. since I was first introduced to the “spinning” concept in 1995. Historically speaking, one of spinning’s first official introduction/coming out parties was at the pre-race banquet on the eve of the 1995 Bicycle Race Across America (RAAM). If you have never heard of RAAM, it is a non-stop transcontinental bicycle race–for both individuals and teams–that basically starts west coast “darn near” to the Pacific Ocean and finishes, approximately 3,000 miles later, on the east coast (as you can probably guess) “darn near” to the Atlantic Ocean. It was introduced to the RAAM crowd as a great off-season training alternative to cranking out the (boring) miles on the wind-trainer or rollers. If you are interested in hearing some of Malcolm Gladwell’s wisdom, in his own words, click here to see a few excerpts from his keynote address. Malcolm Gladwell gave a captivating keynote address, chock full of many messages and challenges for health and fitness professionals and the industry, in general. It is not my intention to summarize his entire address. I just hope to present and expound on a few of his basic ideas that really resonated with me, and hopefully, will resonate with and/or challenge other health and fitness industry professionals. I’ve also thrown in a few of my own editorial comments to further support Mr. Gladwell’s points. As fitness industry professionals we must realize the important role that we can play in helping the majority “society” to apply some sense and sensibility to the concepts of health, fitness and wellness. What comes easy to us is, generally, perceived as unimaginable and unattainable to the non-professional. Here are four major points that Gladwell discussed. As you read through this list, you should realize how many health and fitness professionals—from a multitude of “job descriptions”—can fall into and assist in the major “roles” discussed. Change can happen quickly; revolutions happen quickly. Malcolm Gladwell gave the example of how quickly the Berlin Wall came down, once the “revolution” got organized. In our industry, revolutionary change can be getting sedentary, out of shape, overweight people to become health conscious exercisers. The challenge is to frame it properly! Present and position the “program” in a way that it can be accomplished. Make it, and keep it, simple, achievable and fun. Then, watch how fast change occurs. Play the role of the maven, the expert. Don’t fake it; do whatever it takes to truly be to go-to person in your area of expertise. Then, take someone on the outside that is terrified by our world (of health and fitness) and make sense and pleasure out of it for them. The bottom line here is, the only, or best, way someone can navigate a complex/intimidating marketplace is to do it with someone they can trust, and do it with someone with expertise. Be a connector, or align yourself with connectors. All the knowledge in the world means nothing if you can’t communicate it and share it with others. Connectors are those people who know everyone; they are very networked. At minimum, connectors know someone who knows someone. Mavens and connectors can be one in the same. If not, mavens and connectors can and should form a very symbiotic relationship. Also, don’t hesitate to use the “mavens and connectors” to make sense across all levels of an organization—exploit the specific knowledge and connectedness that the “team” brings to the table. The more choices that are presented, the less the consumer will buy. Keep it simple; minimize the choices. A person needs someone they can trust to take them by the hand and help them make a decision in the world of choices. In the club setting the hand-guider can be the owner, manager, salesperson, personal trainer, etc. Each one of these professionals can guide the customer to make and commit to the best choices. Generally speaking making choices = making money! The bottom line here is to be careful how much you offer. Too many “packages,” too many machines, too many classes, etc…and the net result can be NO choices made. Ever wondered what it feels like to win a gold medal? Natalie explains. 2010 IHRSA Everest Climb. 29,030 Vertical Feet on a Freemotion Treadmill. 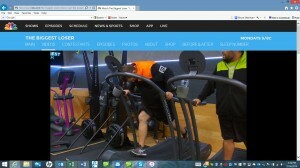 As a runner, Freemotion Fitness’ Everest challenge really caught my eye. I’ve been within 20 miles of Everest, as the crow flies, while trekking in the Himalayan foothills. I’ve competed in the Empire State Building Run Up—the ultimate vertical challenge. So, I was intrigued by Freemotion’s spin on vertical running. Here are a few facts from the run, collected by observation and chatting with some of the participants. Three teams of five took the challenge. The “gunners” appeared to be a group of marathon-studs from Utah. The rules stated that the treadmills had to be set at 18% grade or more, and there was no holding on. Beyond those rules, the speed and grade was up to each participant. The event was a relay. The length/time of each relay leg was up to the participants. Handoffs were accomplished by one runner hopping off and the next runner hopping on. The team averaged almost 5,300 feet of vertical climbing per hour. That calculates out to almost 90 feet per minute, or the vertical equivalent of climbing a 9-story building every minute. It appeared that the winners kept the grade at 30% the entire time. The average horizontal speed for the effort was about 4.5 mph. Therefore, the winning team covered about 22.5 horizontal miles on the way to the “summit” of Everest. Check out the video I took at the event. You’ll see the different race strategies utilized by the teams. You’ll also see the winners cross the finish line. How did the competitors feel immediately after, and in the several days after, the event? I guess you’d have to ask them. The winners seemed to be no worse for the wear—winning can do that to you. As for the succeeding days, I would guess that the runners were leg-tired but not very sore. From all my years of stair climbing and hill running for training and competition, I never experienced soreness from going UP hard but going down easy. Delayed onset muscle soreness (DOMS) is generally accepted to be caused by eccentric, or lengthening, contractions. Going up is generally a concentric, or shortening, contraction. Therefore, my assumption is that the runners walked away from the event a bit leg weary, but no “sorer” for the effort. Congratulations to Freemotion for sponsoring a fun event. Let’s see if they can top it next year.